Having studied Germany between the wars, I thought I knew what to expect of Berlin. My preconception led to a rather disorientating trip at first – it just didn’t look like the black-and-white photos I had stored in my head. Of course, I knew exactly why Berlin has changed so much since the 1930s – and its turbulent history is what makes Germany’s capital a fascinating place to visit. Berlin is a vibrant, modern city with all the cafes, restaurants, bars and nightclubs you would expect to find. It doesn’t shy away from its past and is packed with opportunities to soak up its history. I arrived at the end of a blistering July heatwave, so the rain on the first day of my trip offered a relief. The gloom added to the sombre atmosphere of the Holocaust Memorial. The controversial memorial, opened in 2005, consists of nearly 3,000 grey concrete slabs (stelae) arranged in a sloping grid. 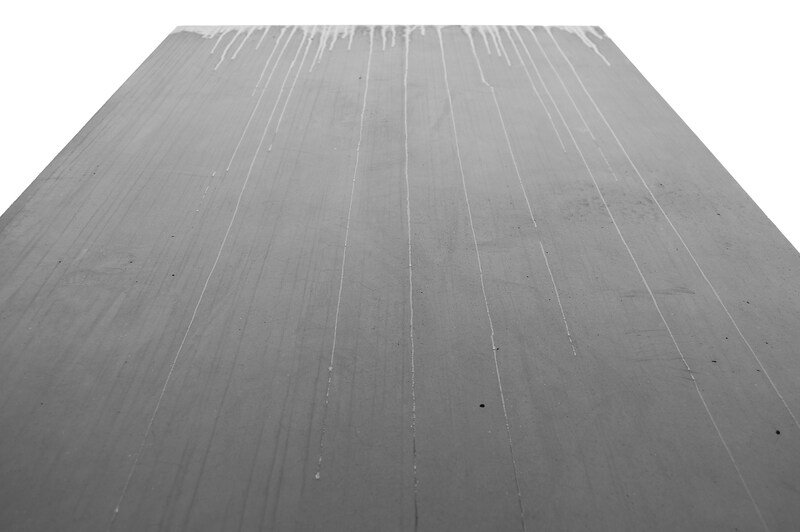 The raindrops sliding down the stelae looked like tears. 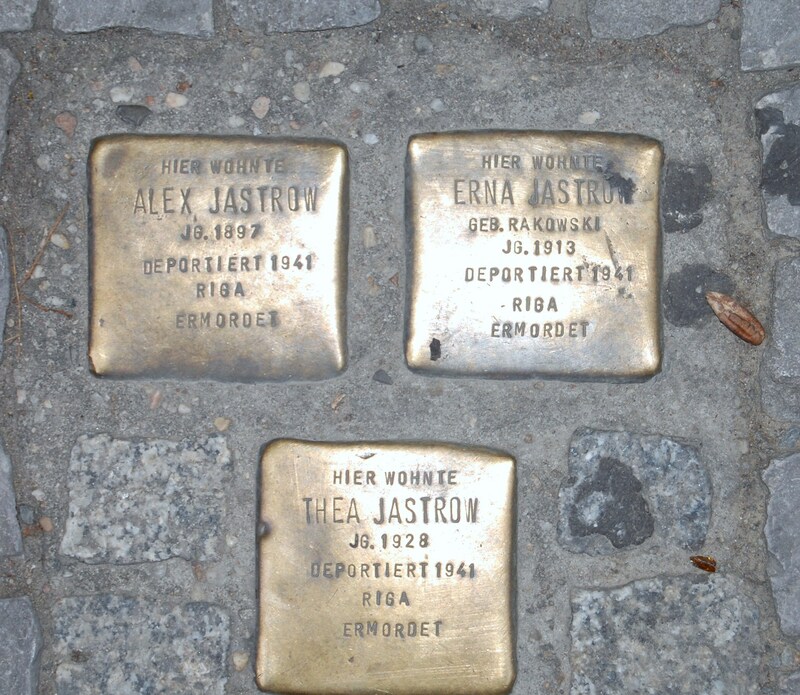 Stolperstein, or stumbling blocks, offer emotive reminders of the Holocaust. These bronze memorials are placed in the street outside the homes Jews were forced to leave, detailing victims’ names and fate. Too many read ‘ermordet’- murdered. Naturally, many stolperstein can be found in Scheunenviertel, the former Jewish district, now a lively area full of bars and cafes. Berlin is synonymous with the wall that divided the city for thirty years. My visit was during the twentieth anniversary year of the Wall’s fall. An absorbing outdoor exhibition (thankfully in English and German) in Alexanderplatz detailed ordinary Berliners’ lives on both sides of the Wall, as well as the political background that led to the reunification. I posed for a photo next to a preserved section of the wall at Potsdamer Platz. It is next to the ultra-modern Sony Center, offering a juxtaposition of the old Berlin against the new. I resisted having the ‘border guard’ stamp my passport. To complete my wall experience, I was eager to see Checkpoint Charlie, but found it is a disappointing tourist trap. The weekend fleamarket on Strasse den 17.Juni offered a more authentic experience. A happy hour was spent browsing through early twentieth century family photo albums, many including First World War soldiers, offering a fascinating glimpse into real lives. The Tascheles building was originally a department store, has served as a Nazi prison and is now an artists’ haven. Artists can be seen at work in their studios creating all kinds of modern art. Threatened with demolition, this building has an uncertain future. I was pleased to experience Tascheles before it disappears. 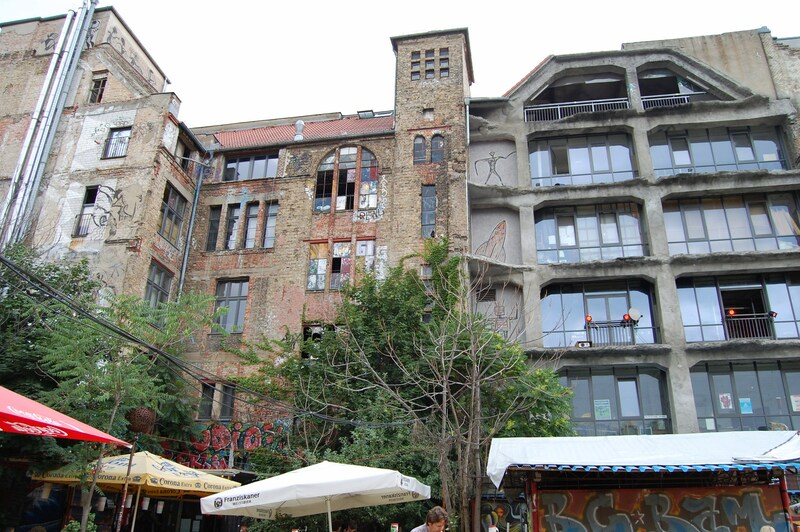 It is on Oranienburger Strasse, near the new synagogue. Berlin has far more to offer than is possible to see in four days, as my sore feet attested. Fortunately, the Park Inn hotel in Alexanderplatz provided a comfortable and convenient base, with a U-Bahn station a short walk away. I’ll be returning to this intriguing city to experience more of twenty-first century Berlin.